Wishing animal cruelty didn’t exist, looking the other way or pretending it’s not a big deal isn’t the answer and it doesn’t solve anything. It’s not that it wasn’t there before. Nowadays when social sharing brings to our attention the barbaric atrocities and pain inflicted on animals that is happening every single day around us makes the problem of animal cruelty impossible to ignore. Knowing what’s going on, having access to information and resources gives us the power to do something. The mentality that we are powerless and can’t do anything to create change is no longer an excuse for doing nothing. The beauty is that you don’t have to be in the front lines, technology empowers us to take simple actions like clicking a button to add your signature or just share to support a cause. And if you’re up for it, add your voice by posting a comment letting the world know where you stand. A signature and/or share ads value to those in the front lines taking charge and doing the work to win the fight. It really is that simple, but you can always do more if you want to. Many organizations observe Prevention of Cruelty to Animals during the month of April. The general consensus from my readers supported that we follow suit. I hope you enjoy the article and find useful information so you too can help raise awareness to help improve the lives of all animals in the world around us. I’ve always had a soft spot for animals. Fascinated by insects, those creepy crawlies are so interesting, reptiles, majestic wild beasts, farm animals, sea creatures, feathered critters and most of all the cats and dogs we’ve raised to coexist with in our daily lives. Not sure if it’s something I learned from my grandmother or if it’s in my nature (maybe both) to admire, respect, care and want to protect them. An article in Psychology Today indicates some of us are born with compassion but it can be taught too. Thank goodness for that. We need a world with more compassion. Signe Whitson, a school counselor, wrote on Huffington Post 8 Ways to Teach Compassion to Kids where she talks about leading by example and steps parents can take to positively influence their children including “bringing a pet into the family…as a way to foster compassion.” Of course there is more to it than just getting a pet as that alone won’t solve anything. Other studies have shown improvement in troubled youths through programs designed to build their self-esteem and social interaction learning empathy and compassion by working with animals. If compassion and empathy can be taught then it’s up to parents, teachers and society to be the role models to mold the minds and hearts of children. At some point, we will be at their mercy. Think about that. I don’t know exactly what it is about seeing a defenseless animal being abused that fuels a fire within me to do something to protect it. I was 15 when I came close to being beaten up by a man who was kicking a dog outside a convenience store. The scrawny and battered homeless dog was less than a year old. The man walked out from the store and just started kicking it. Without thinking, I ran towards the man yelling at him to stop. He shouted some obscenities telling me to mind my own business while he continued kicking the dog. I couldn’t help myself. I reached down to pick up the pup and got kicked in the stomach in the process. A couple of young men ran to hold the man back. I was scared. I held the dog close and ran. I acted on impulse and don’t recommend to anybody to put themselves at risk. Play it safe, seek help, report it, do something. This is the world we live in. We are surrounded by people who perform cruel acts against children, women, anyone or group who is different or have different views, our planet … until recent years, animal cruelty wasn’t even on the radar but the more we learn the quicker it is climbing in priority … and rightfully so. Up until January of 2016, animal cruelty cases were classified as “other” in the FBI database. Now they have their own classification. All that really means is that they’ll be able to cross-reference their database to see if an offender has committed crimes against animals. There isn’t a single national database that lists animal cruelty offenders. Some states have launched their own registries but this should be a national or even global unified effort as people tend to move around. Sadly, many cities ban and kill certain breeds. 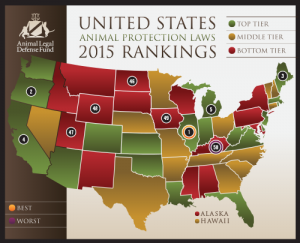 The Animal Legal Defense Fund has a US map linking to PDF files that cover the animal protection laws for each state and another great resource comparing how the different states rank in animal protection. How is your state doing? I’m appalled that my beautiful state, Idaho, is a bottom tier state when it comes to animal protection. The mentality that pets are property unjustly diminishes the severity of animal cruelty cases often resulting in nothing more than a slap on the wrist, perhaps a fine that may be less than the cost of a parking ticket in some cities, maybe jail time or in severe animal cruelty cases a fine and some jail time. It’s unfortunate but progress is made through cases that garner great media exposure. For instance there is the case of Phoenix a 2 year old pit bull doused in gasoline and set on fire. This atrocity elicited public outrage. Petition signing through sites like Change.org help shed light on the severity of cases influencing the punishment handed down to criminals to better fit the crime. Efforts by individuals just like you and I rallying the community for change have led to the establishment of laws that protect animals, collaboration and exchange of information across agencies, improved technologies for processing evidence to bring justice for animals. There are many studies that link cruelty to animals and violence towards people. Almost every article I read included references to historical killers and how they started their journeys torturing animals. Uhm, HELLO! As an animal advocate I was of course outraged. As a mother, I tried to put myself in the parents shoes. I was still outraged. I know kids do stupid things. But, I also know that as a parent it is my job to teach my children right from wrong and making them aware that there are consequences for their actions. These teenagers took the lives of 3 puppies. That is not something to be taken lightly. We have the power to raise awareness and make an impact towards the prevention of cruelty to animals. We have at our finger tips access to news as it is happening along with the resources that empower us to get involved and the tools to speak up and share our voice. We can take a stance on the things that matter to us and we can make a difference. Never before was it possible for petitions to spread like wildfire garnering millions of signatures from around the world bringing to focus injustices that will not be allowed to be swept out of view and forgotten without repercussion. People like you and I are no longer sitting idly by thinking there is nothing we can do. We are doing something and because of that we are raising awareness, perspectives are shifting and laws are being created to protect animals. 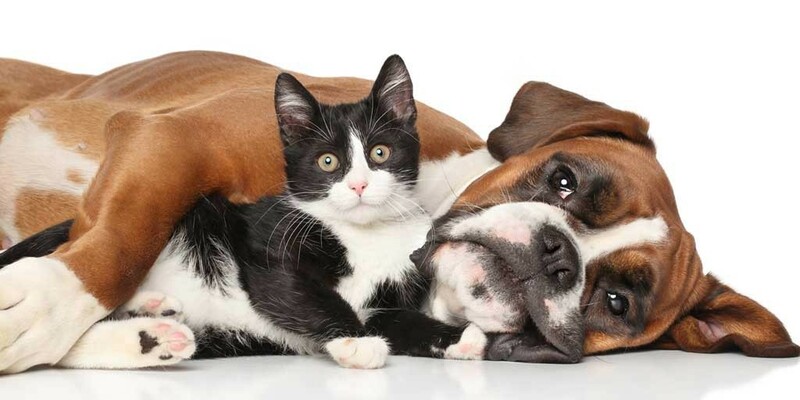 The ASPCA and Humane Society are huge proponents for the protection of animals. Follow their posts and share with others to help spread the word and raise awareness. The ASPCA has a page on how to Report Animal Cruelty. The Humane Society is actively launching campaigns to End Animal Cruelty & Fighting to help bring justice to extreme abuse cases. Share your thoughts and comments below. If you are working on a cause, list it for others to learn about it. If you have ideas, share them.